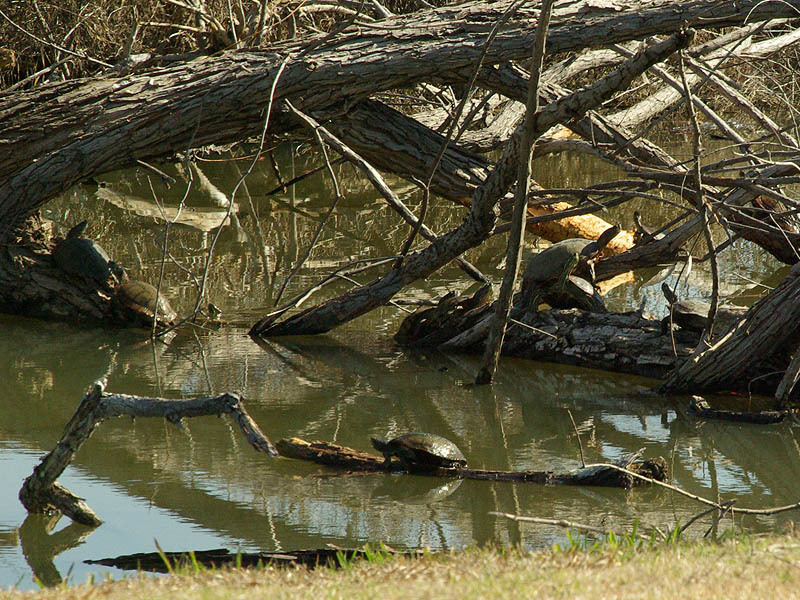 There are nearly a dozen Red-eared Sliders congregating in this pond located at the McInnish Soccer Complex in Carrollton, Texas. 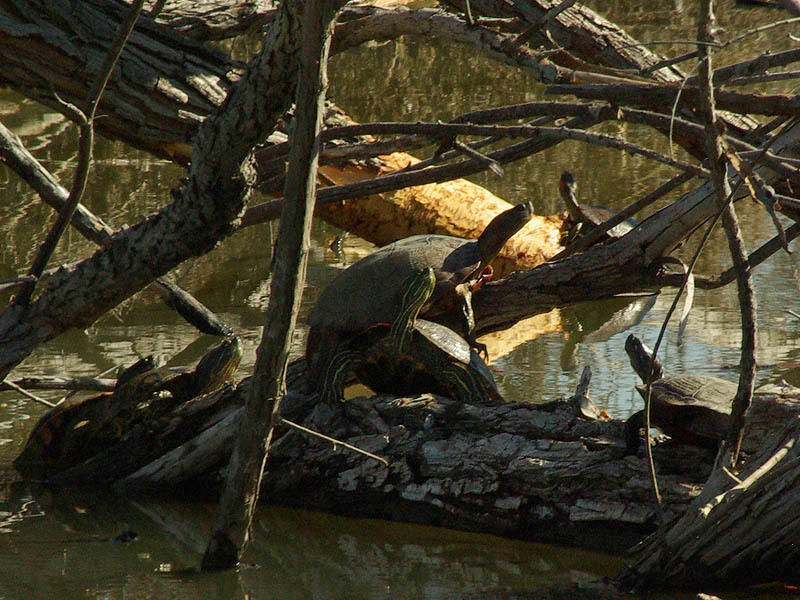 The red-eared slider belongs to the order Testudines, which contains about 250 turtle species. 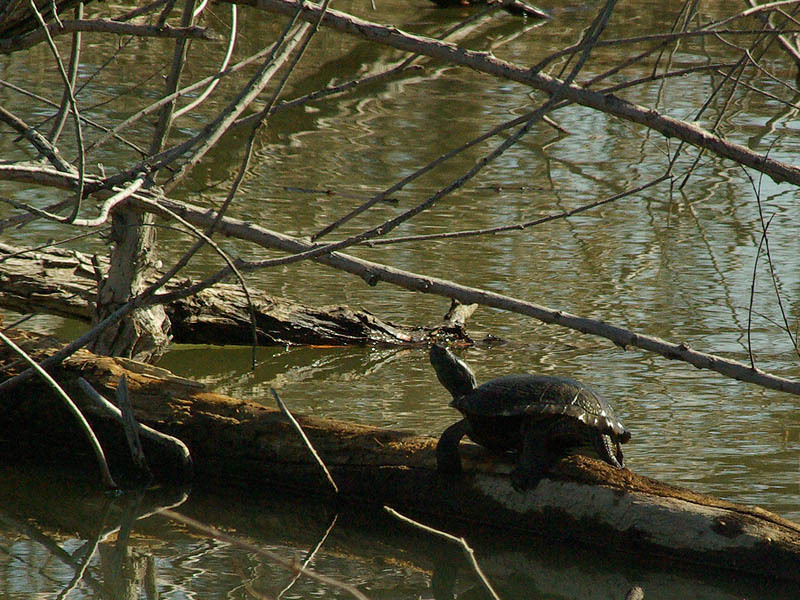 It is a subspecies of Trachemys scripta. They were previously classified under the name Chrysemys scripta elegans. 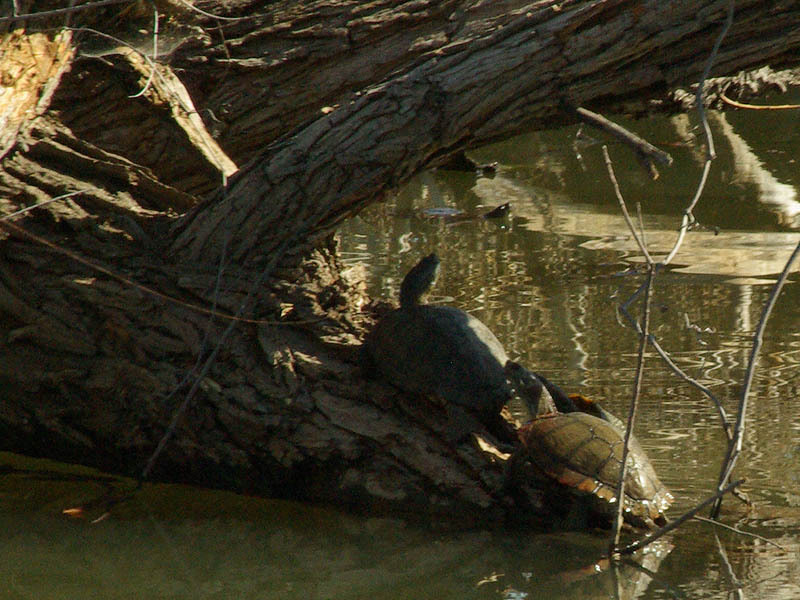 The species Trachemys scripta contains three subspecies: T. s. elegans (red-eared slider), T. s. scripta (yellow-bellied slider) and T. s. troostii (Cumberland slider).